Due to financial difficulties, the International Mission Board of the SBC is poised to cut 600 to 800 missionaries and staff. Surely we can look forward to a Patheos article blaming it on "anti-mission" Calvinists. Arthur Sido has an interesting perspective on the issue. A list of new and notable books, courtesy of Tim Challies. Pastor Craig Ireland preaches on total depravity. I don't know why, but the doctrines of grace just sound more believable when preached in an Australian accent. Yes, Ashley Madison, life is short. But instead of having an affair, why not love your spouse? What else is there to say upon seeing a gay "marriage" proposal taking place in a "church" service? It seems you can thank Calvinism for America's love of landscape art. At the same time, you can blame Calvinism for America's less-than-stellar public transit system—you know, because Calvinists hate poor people. 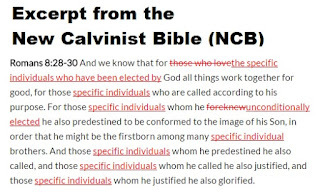 How close does Wesley come to Calvinism? Tim Challies begins a series of posts as he reads through J. I. Packer's Knowing God. What is "cage stage" Calvinism, and what causes it? R. C. Sproul Jr. answers. In the first lecture in his series "Calvinism and the Christian Life," Ian Hamilton introduces us to John Calvin. Calvinism and the problem of evil. Leighton Flowers critiques Tim Keller's Calvinistic sermon on Romans 8. John Piper address the question, "Do we have to enjoy God to believe?" The problem is not just one of ignorance as in "not knowing facts." That's bad enough. Too many Christians, including conservative-evangelical Christians, don't even know the Bible. How many can even find a book, chapter and verse in the Bible without being told the "page number in the pew Bible?" No, the larger problem is confusion of the Christian story with other stories. We live in a pluralistic culture and I celebrate that. But I also celebrate Christians in this pluralistic culture knowing and understanding their own story—the story of God and us told in the Bible. He has a point. The problem with many churches is that they lack an intellectual and intelligent approach to scripture, where members of congregations are treated as if even the simplest of theological concepts are beyond their ability to grasp. I've been in churches where the sermons consist mostly of life lessons, illustrations, and humorous anecdotes, as if diving in and actively drawing out what God's word actually teaches would cause mass confusion. While Dr. Olson may not agree, I believe that anti-intellectualism is one of the trappings of Arminianism. Then, of course, there is the opposite end of the spectrum. The problem I have noticed in some Calvinist circles is over-intellectualizing. Let's be honest. Calvinism has a certain intellectual appeal that can sometimes cause us to focus on stimulating the brain at the expense of nurturing the soul. I confess that there have been times in my walk with Christ during which I was more drawn to theological discussions, books, web sites, and podcasts than God's word. "Hey! Look at me! I'm learning new and wonderful things! 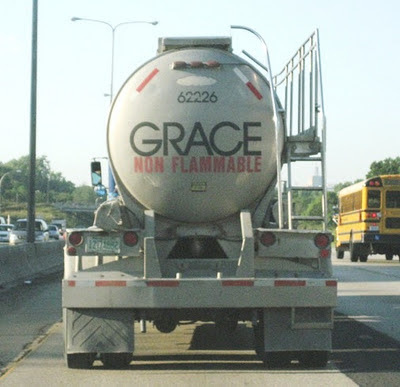 Now let's see how many others I can convince of the doctrines of grace!" If only more of us were just as passionate about the gospel. This is not to disparage the desire to learn and expand our minds. After all, Christ himself commanded us to love God with all our heart, soul, and mind (Matthew 22:37). Let's strive to find a healthy balance. If those books and podcasts we love so much don't cause us to develop a deeper thirst for the scriptures, then perhaps they have become little more than unhealthy distractions. Peter encouraged believers to "grow in the grace and knowledge of our Lord and Savior Jesus Christ" (2 Peter 3:18), and while that doesn't mean we can't partake in a little intellectual stimulation, we must realize there is no substitute for the word of God. 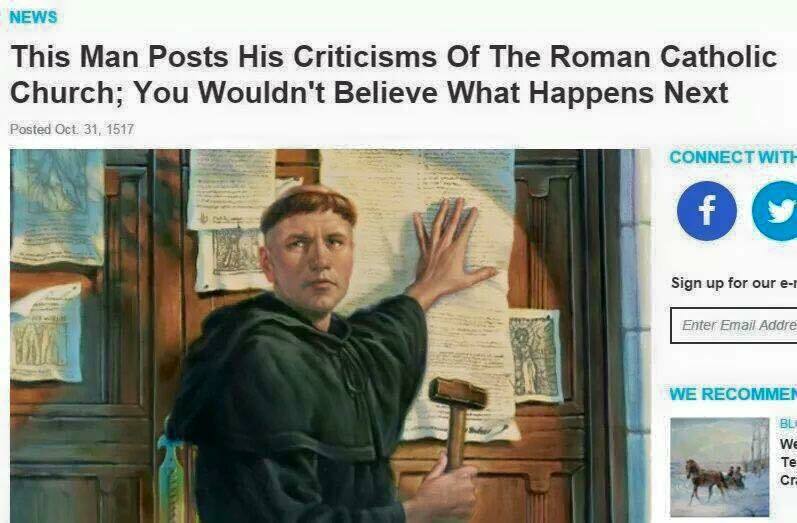 Did God betray you in your suffering? James White reviews Bruxy Cavey's comments on monergism, synergism, prevenient grace, and the like. Four ways to respond to Planned Parenthood. 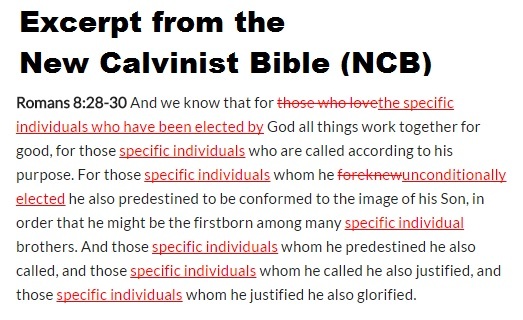 According to Last of Days Ministry, Calvinism is an unscriptural doctrine that "states you are either born saved or you are born damned." Note to Last of Days Ministry and other Independent Fundamental Baptist KJV-Only types: The purpose of setting up a straw man argument is so that you can easily debunk it. When you can't even debunk your own straw man argument...well, that kind of says a lot about your position.